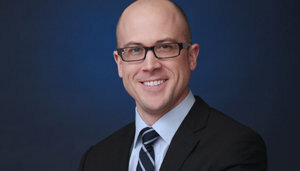 Conly S. Wythers is an associate at Rakoczy Molino Mazzochi Siwik LLP. Mr. Wythers is involved in all areas of the firm’s patent litigation practice and has extensive experience with the statutory and regulatory framework surrounding suits arising under the Hatch-Waxman Amendments to the Federal Food, Drug, and Cosmetic Act. He has experience in all aspects of patent litigation, including participating extensively in pre-suit strategy development, all aspects of fact and expert discovery, pre-trial and trial preparation, and appellate briefing. His cases have involved a wide assortment of pharmaceutical products, including nebulized inhalants, solid oral dosage forms, and a variety of topical dosage forms.